Tuck, Munch, and Alex are junior-high friends who have big plans for their last night together. Their neighborhood is about to be evacuated for the construction of a bypass. The loss of their neighborhood is significant to each boy, because each of them feels somewhat displaced. Tuck is overshadowed by his older brother and has also moved to Nevada from New York. Munch doesn’t make friends very easily. Alex is a foster kid, who Tuck says “has been moved all over.” All three of them are about to be moved away from their homes, and away from each other. Recently, their cell phones have been acting strange, displaying unusual designs. The boys decode the designs as a map, and decide to spend their last night together trying to discover what is causing the phones to act strange. They follow the map into the desert, and one character admits that they are scared. 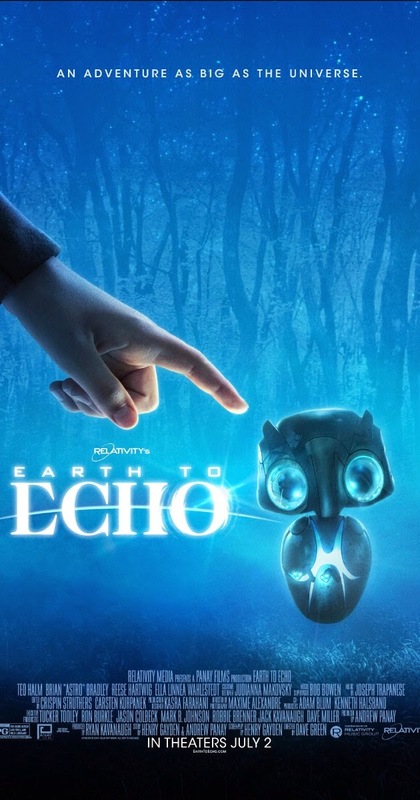 While exploring, they see a faint light and discover Echo, a scared, tiny alien who just wants to go home. The impending loss shakes Tuck; he explains, “You feel like your own person with your own friends, and then something like this comes along and you have no power to stop it because you’re just a kid.” Kids who have been in foster care may relate to a feeling of being disempowered. Alex is a positive movie portrayal of a kid in foster care. Echo is lost and wants to get home. The boys also christen Echo with his name; they aren’t sure what his original name is. Echo is cute, scared, and dependent. All three boys are very nurturing towards him. One character is insensitive to Alex. He jokingly asks, “Why do your foster parents need you if they already have a baby? One cries, one listens to Indy Rock.” Alex deflects the joke and laughingly tells his friend to shut up. This scene might hurt some viewers’ feelings, but Alex’s response is a positive one. The same character leaves Alex behind while running from a security guard. 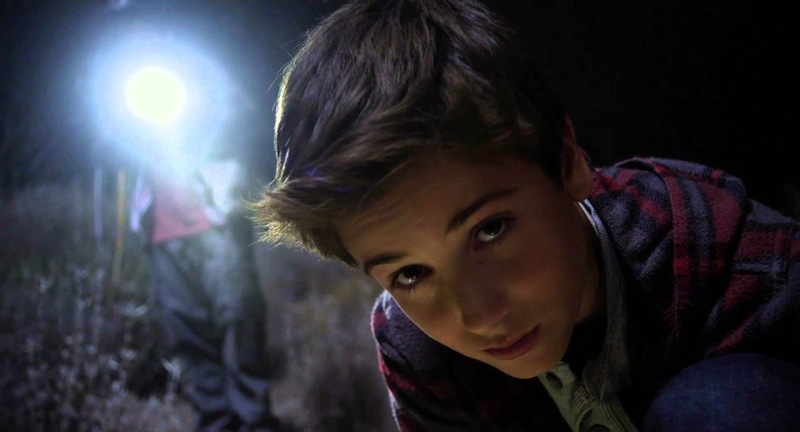 Later, he tells Alex, “You’re always freaking out if someone’s gonna leave you behind.” Alex fights the boy. They later make up. One boy fears for his life, and makes a tearful video farewell to his friends. Although he survives, the scene might be too powerful for some viewers who have had painful experiences of loss or peril. Echo is placed on a dissection table. Juvenile boys make some inappropriate jokes in real life, and in film. One boy jokes about sleeping in the bed of another boy’s mother. The boys do enter a home without the owner’s permission. 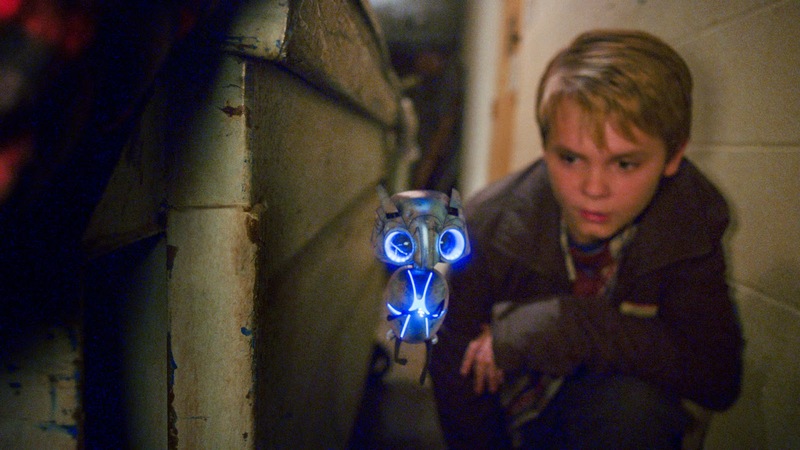 Tuck expresses the film’s message right before the end credits – that kids can do anything; that they’re not powerless. But what I see as an even more pronounced message is that foster kids, while having real issues, challenges, losses and sadness, can be the bravest, most loyal, most forgiving, and most dependable of their peers, and they can turn their experiences outward into kindness to help others in similar situations. There are some sad and scary moments in this film, and so it should be pre-screened by parents of kids under 7, or parents of kids who have unresolved grief about loss or peril. However, this is a very positive film – especially, I think, positive for kids in foster care. I give it a high recommendation for foster families with kids between the ages of 8-14. 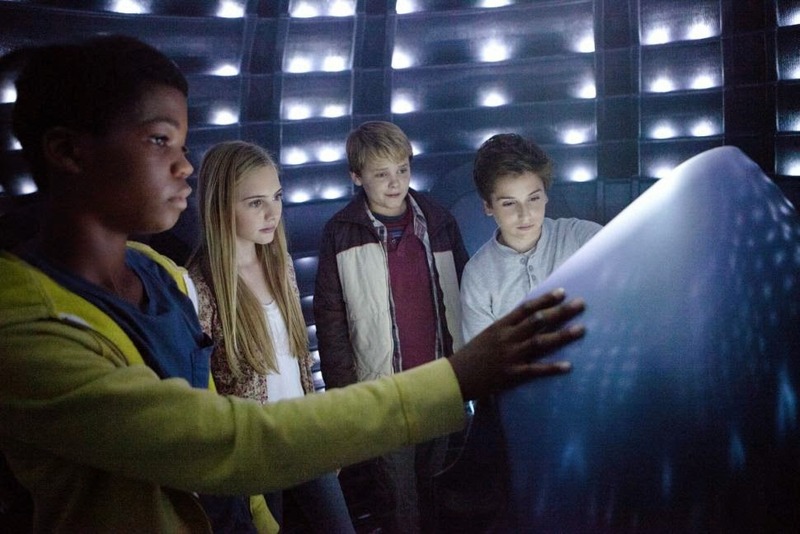 Which of the kids – Tuck, Alex, Munch, or Emma – do you like the best? Why? Why was each boy sad to be moving from their community? Why did Tuck and Alex fight? What in your life do you wish you could change? What would be the first thing you would do to make it happen? Do you think Alex, Tuck, and Munch will stay friends even though they’ve moved apart? New to Adoption at the Movies? Check out our massive list of movie reviews (120 and counting!) and visit Adoption at the Movies on Facebook!